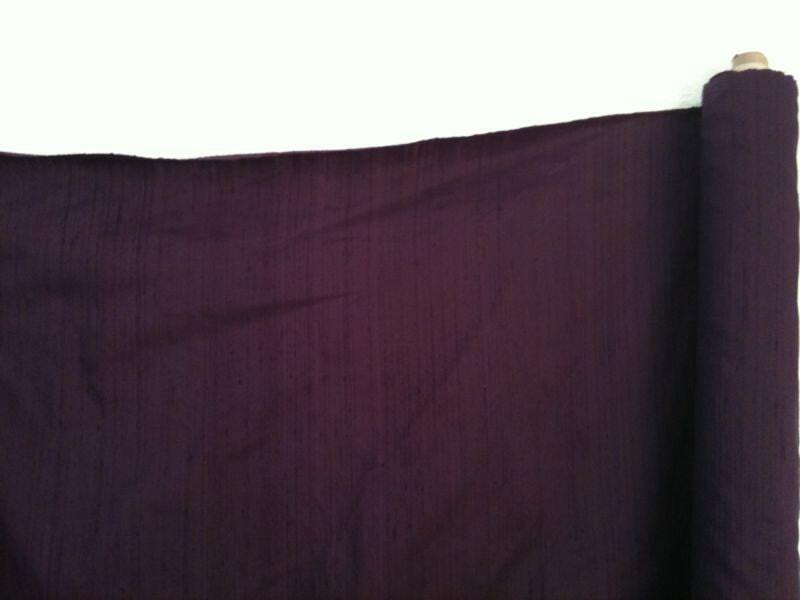 Eggplant purple tone-on-tone dupioni silk fabric. Brand New High-End Dupioni Silk Fabric Yardage. 45 inches wide. Beautiful color and good quality fabric! Shipping was fast and safe. The silk fabric is beautiful. I had forgotten how rich a fabric dupioni is and what a fine hand it has. A pleasure to deal with this company.